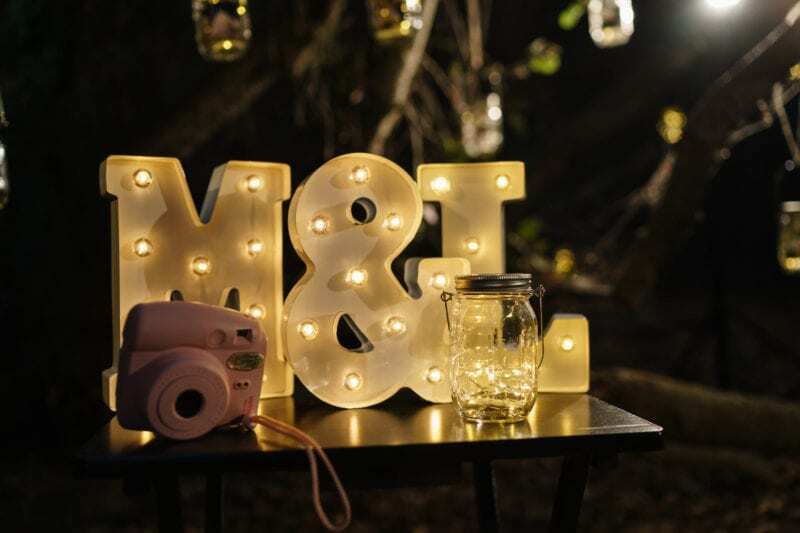 Hanging Lantern Proposal in San Diego featuring Our Thin Ring Box! 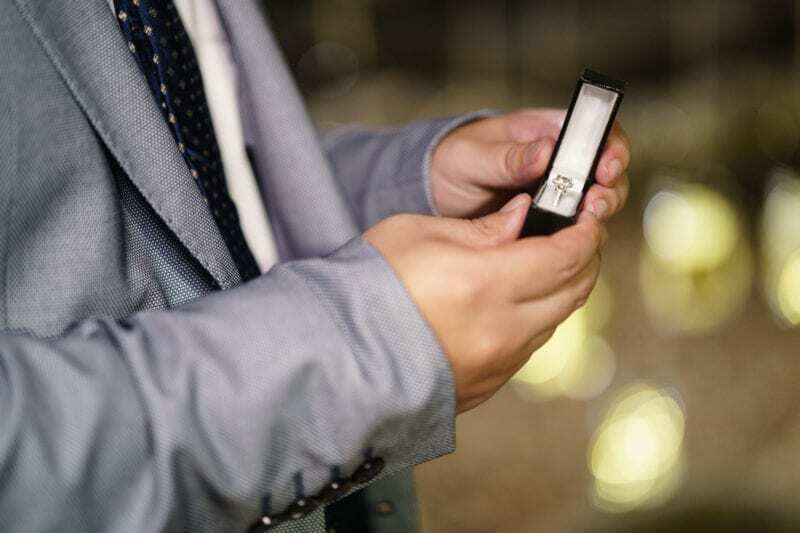 Long was unlike most of our clients, and came to us with a complete proposal idea already in mind. 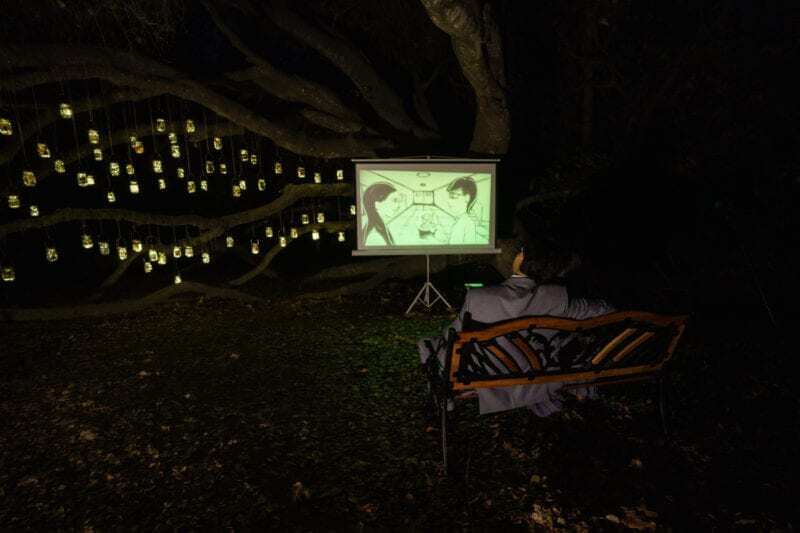 He had a vision of having a large tree with beautiful hanging lanterns, a memory path with photos and letters representing the years they have spent together, and a sand art video of their love story. Needless to say, we gladly obliged! When Long and Mei arrived at the park, he lead her down the memory path, collecting a lantern at each stop. 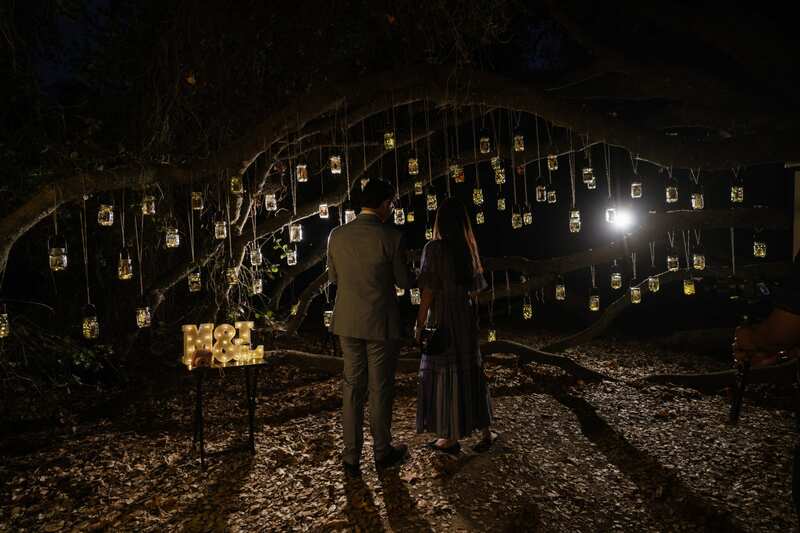 As they approached, two entangled trees held lanterns with photos of their favorite memories together. They hung the lanterns they had collected, and then stopped to watch their love story unfold through the hands of a sand artist. Long then pulled his Thin Ring Box from his Marry Me Box Sock and popped the question. After Mei said "YES! 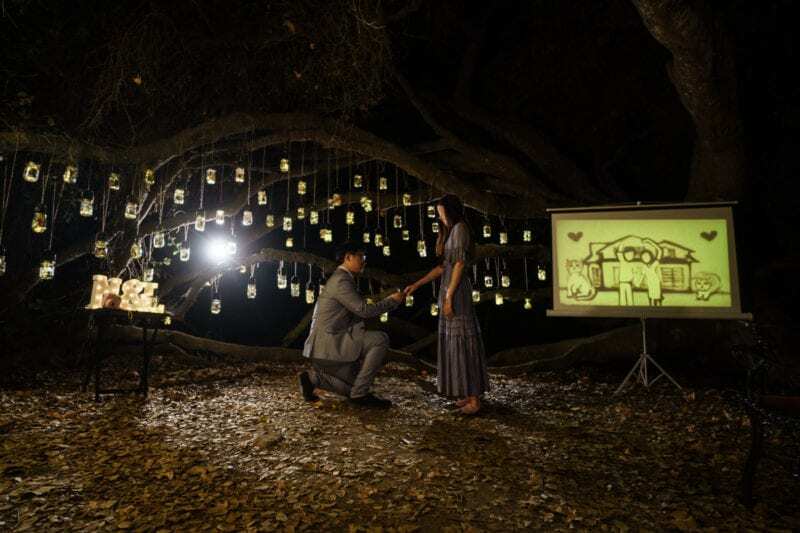 ", a pianist began to play their favorite song so that the love birds could slow dance under the glow of 100 lanterns. Congrats Long and Mei! Get your thin ring box to hide inside your engagement day pocket sock here!